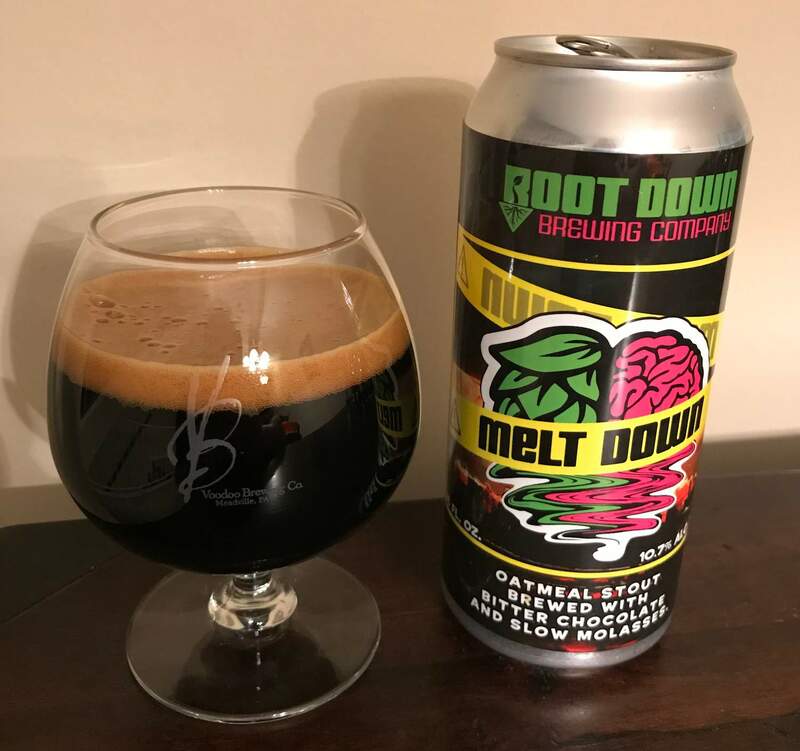 Root Down Brewing opened its doors earlier this year, and it was an event I had been anticipating for a while. The owner/brewer, Mike Hamara, was the guy who sold me my homebrew setup many moons ago. On at least one occasion, he improvised a complete recipe from scratch for me because I needed something quick and didn't have time to prepare (I'm the worst). To put it mildly, this is a guy who knows what he's doing, and has been planning this operation for years, if not decades. Located in Phoenixville, PA, the building is deceptively large and punctuated by graffiti inspired decor. Chances are, there will be some sort of obscure martial arts film playing on the TVs (though they will cave in and put the Eagles game on if someone asks), and indeed, some of the beer names (like the below Flying Guillotine IPA) are inspired by said movies (truly a brewery after my heart). I didn't have any food during my visit, but they have a menu of BBQ goodies and even a whole page dedicated to Vegan offerings, such that I'll definitely be checking this stuff out upon future visits. I visited on a Sunday when they were releasing a particular beer made in cahoots with BeerNERDs (N.E.R.D. 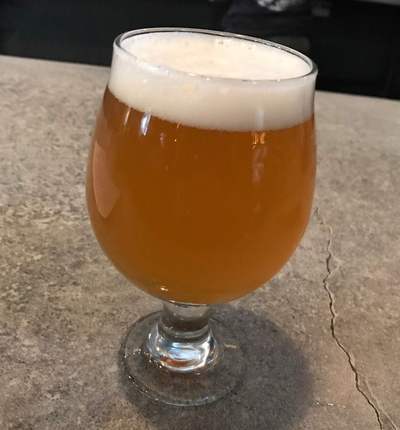 stands for Network of Educated Refined Drinkers), with proceeds going to Main Line Deputy Dog, a local charity that helps with training service dogs for those in need. For the uninitiated, BeerNERDs is a group of, well, nerds centered in southeastern PA with smatterings of members from MD, DE, and NJ. There's a Facebook Group of 5000 plus members, which naturally leads to the occasional, erm, argument. Tensions mount, some people can't handle it, others pile on, and then a full blown meltdown ensues. One particular meltdown centered on Root Down taking forever to deliver an ordered beer. I can no longer find specifics of the complaint, but the guy was awfully strident in his distaste and apparently greatly exaggerated his experience, as it was later revealed that he had only been around for a scant 107 seconds before up and leaving the place. 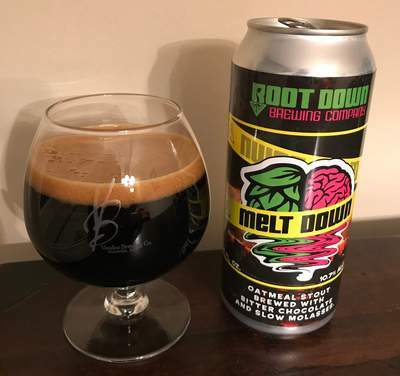 But these details are unimportant; Root Down and BeerNERDs decided to relax and remember that it's just beer, eventually deciding to collaborate for charity. Beer Nerd Details: 10.7% ABV canned (16 ounce pounder). Drank out of a snifter on 11/12/17. Canned 11/6/17. Batch: DOOMA DOOMA. This page is an archive of recent entries in the Root Down category. Rogue is the previous category. Round Guys is the next category.